Album: "Don't Shoot Me I'm Only the Piano Player"
Vietnam War. The lyrics (including a verse in the original draft that was cut from the final version) describe a fictional veteran who was blinded as a result of the war ("your eyes have died"/"but you see more than I") and travels to Spain to escape those around him back home ("do you still feel the pain"/"of the scars that won't heal? "), including his brother, from whose point of view the story is told. The lyrics were written by Bernie Taupin, Elton's writing partner. He explained the inspiration on his web site: "I'd seen this article in Time magazine on the Tet Offensive. And there was a sidebar next to it with a story about how many of the soldiers that were coming back from 'Nam were these simple sort of down home country guys who were generally embarrassed by both the adulation and, depending on what part of the country you came from, the animosity that they were greeted by. For the most part, they just wanted to get back to a normal life, but found it hard, what with all the looky loos and the monkeys of war that they carried on their backs. I just took it from there and wrote it from a younger brother's perspective; made him disabled and wanting to get away. I made it Spain, basically, because it rhymes with plane." 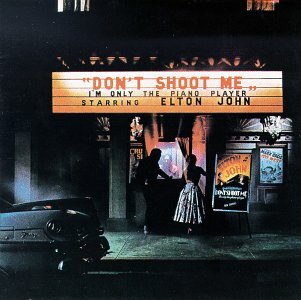 When Elton wrote the music for this song, he chopped off the last verse because he thought the song was already too long. The deleted verse explained that "Daniel" was a Vietnam Vet who returned home to the farm after the war, couldn't find peace, and decided to leave America and go to Spain. With the last verse chopped off, it became a fairly vague story of two brothers who part ways, although Bernie Taupin says that losing the verse wasn't a big deal. Said Taupin: "We had that whole thing about the missing verse that everybody seems to believe explained the true meaning of the song. I think that's just an urban legend. It didn't really explain anything. Sure, it was cut out. But that used to happen all the time with our songs. I would often overwrite, and Elton felt it necessary to edit somewhat. But believe me, it didn't say anything that the rest of the song didn't say." My replacement version for Bernie Taupin's removed verse fits, rhymes, and covers the story. I know it's not particularly inspiring or poetic--; but it shows that a verse that functionally works, at least can be written. Just as had already been done with other epic pop or rock songs, such as Don McLean's 1971 "American Pie," and probably Led Zeppelin's 1971 "Stairway To Heaven." Daniel had earlier come home from the war. Hoping just to get back to the way that things had been before. But we've all heard you can't come home again. That's why Daniel, took right back off again right-then. Daniel matkustaa tänä iltana lentokoneella. Voin nähdä punaisten perävalojen matkaavan kohti Espanjaa. Ja voin nähdä Danielin vilkuttavan hyvästiksi. Daniel näyttää aivan kuin pilviltä silmissäni. Espanjaa sanotaan kauniiksi, vaikken siellä ole koskaan ollutkaan. Ja Daniel sanoo, että se on paras paikka, jonka hän on koskaan nähnyt. Ja hänen jos jonkun se pitäisi tietää, koska hän on ollut siellä niin usein. Oi, Daniel, kaipaan sinua niin, oi, kuinka sinua kaipaankaan! Oi, Daniel, veljeni, olet vanhempi kuin minä. Tunnetko vielä niiden arpien tuskan, jotka eivät parane? Silmäsi ovat kuolleet, mutta näet enemmän kuin minä. Daniel, olet tähti taivaan kannella. Luojani, Daniel näyttää aivan kuin pilviltä silmissäni.